When Batman Begins came out in 2005, it was met with rapturous applause from many critics and audiences. While some was deserved, a large factor was also that audiences had been living through a drought of diminished returns in campy sequels like Batman & Robin and the near-decade-long absence of Batman movies thereafter. By the time a good Batman movie finally arrived, audiences went overboard praising its greatness. In the years since, opinions have cooled a bit on Christopher Nolan’s Batman debut. (It’s also a lot harder to argue Batman Begins’ greatness when it gets discussed alongside the truly great The Dark Knight.) 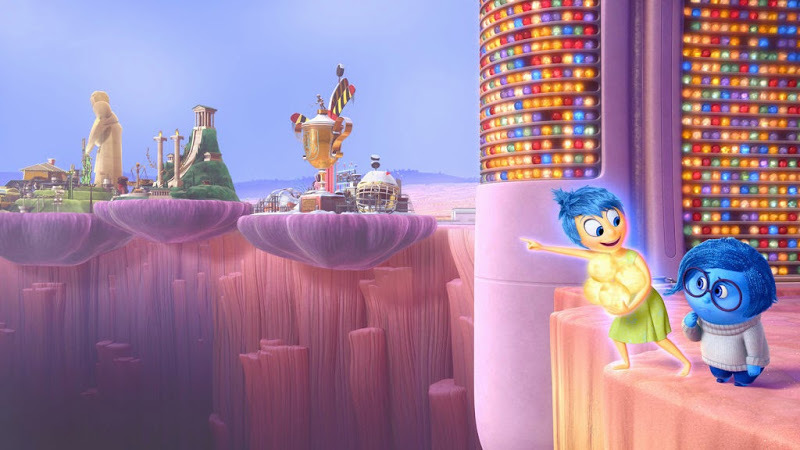 All of which is to say that you will hear of lot of hyperbolic praise for Inside Out in the coming days – and some of it already feels a bit reminiscent of 2005. Rather than dealing with monsters, toys, or anthropomorphic cars, Inside Out brings Pixar back to the grounded world of people. Eleven-year-old Riley (Kaitlyn Dias) has had a wonderful childhood in Minnesota with her parents (Kyle MacLachlan and Diane Lane), loves hockey, and has a goofy sense of humour. What makes Riley Riley, besides her memories, are the five emotions that literally pilot her from inside her head: Joy (Amy Poehler), Sadness (Phyllis Smith), Fear (Bill Hader), Anger (Lewis Black), and Disgust (Mindy Kaling). Everything Riley experiences is shaped by who is at the helm of her head. Most of the time, that’s Joy. Thanks to Joy’s perky effervescence, Riley faces everything with a positive attitude and almost all of her memories are happy ones. Soon after Riley and her parents move to San Francsico, though, Sadness touches one of Riley’s memories and changes it to a sad one. And another one. Because the plot requires her to, Sadness continues wandering around in a path of destruction, turning more and more of Riley’s memories into sad ones — despite being told many times to stop — which accidentally results in Joy and Sadness getting ejected into the far reaches of Riley’s mind (along with Riley’s five most treasured memories) and having to make their way back to Headquarters. 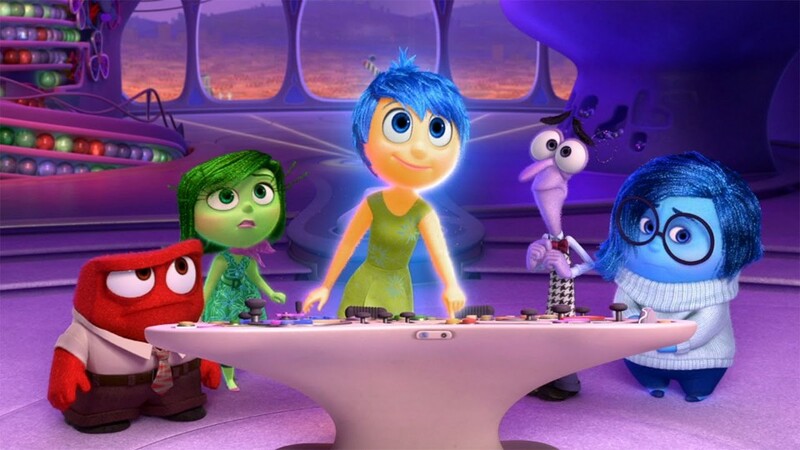 Inside Out seems to think it’s more original than it is. It can’t help covering much of the same ground as movies like Osmosis Jones, Meet Dave, and Where the Wild Things Are, which leads to many scenes feeling familiar as they’re unfolding. That’s not to say there isn’t fresh territory explored in the movie, as there is, but most of the issues all stem from the movie’s uneven script. There are gaping plot holes throughout — and yes, I know this is “just” an animated movie and unrealistic from the get-go. But it’s fine to not obey the laws of reality or follow the rules of logic when creating a new world, as long as you obey those laws and follow those rules consistently, as defined at the start. Inside Out is consistently inconsistent through the whole movie, right down to the distance between locations changing from scene to scene and things that can’t be physically achieved one minute but arbitrarily can the next. 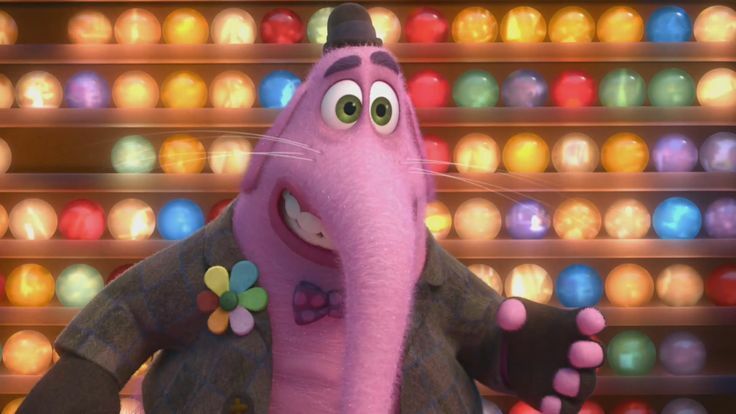 Moreover, while Joy, Anger, Fear, and Disgust each have many facets (they’re just predominantly their respective feelings), Sadness is the most one-note major character in any Pixar movie since Ratatouille. She serves no function other than to cause the events of the movie to happen, less a character than a catalyst. All of that said, while the writing is sub-standard for Pixar, everything else about the movie is really top-notch. The voicework is fantastic (particularly Richard Kind as a tragic, forgotten imaginary friend from Riley’s childhood), the visuals are exactly what you’d expect from Pixar, and the heartfelt moments tug at you with the same persistence as the endings of WALL-E or Toy Story 3. 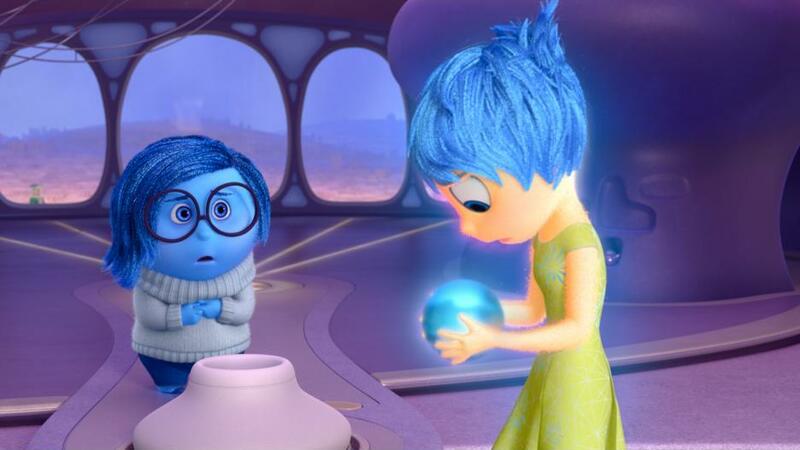 Inside Out really is quite good. It’s not their best film, by a fair margin, but it is their best since 2010. When you hear people ecstatically praising this movie, just consider taking it with a grain of salt; they’re more praising Pixar’s return to form after the string of post-Toy Story 3 disappointments like Brave and Cars 2. 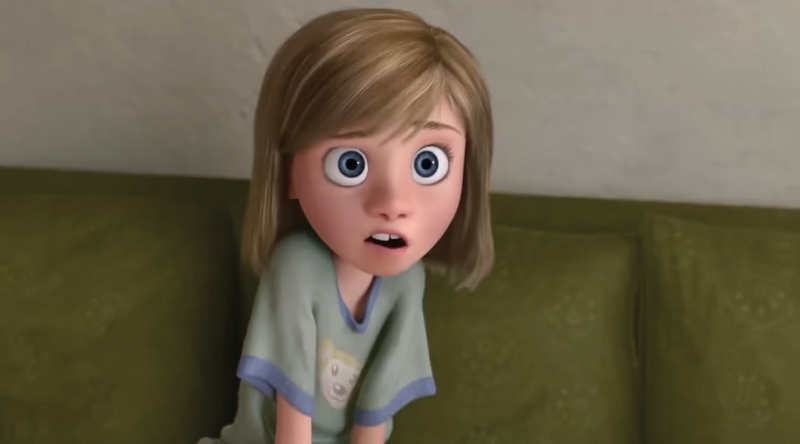 Consider Inside Out the Meet the Robinsons or Bolt of Pixar’s next few years: a fun and entertaining ride that refreshed audiences after the staleness of Disney’s mid-‘00s drought, but that retrospectively was just the appetizer for the the main course that was Tangled, Wreck-It Ralph, and Frozen. Inside Out’s a tasty aperitif, to be sure. But it just gets you hungrier for The Good Dinosaur, Finding Dory, and The Incredibles 2.